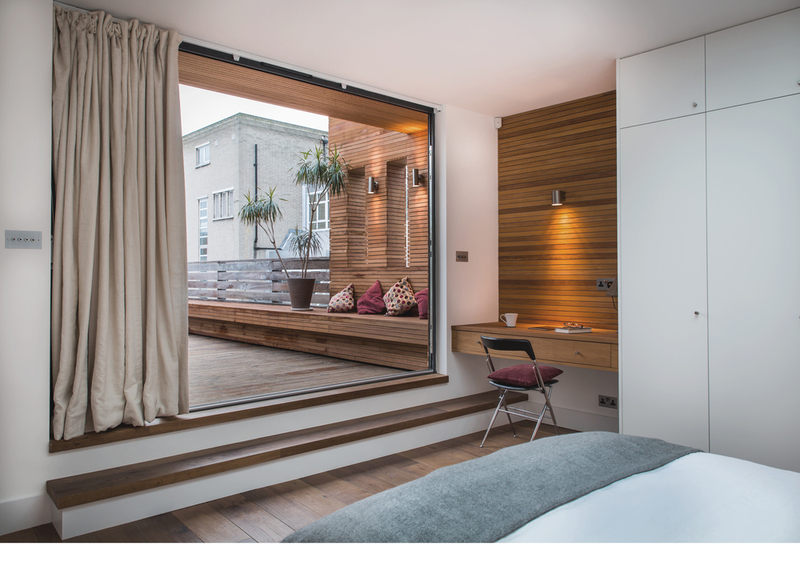 A rooftop extension to provide additional bedroom with ensuite and roof terrace overlooking Old Street and the City. Working closely with the owners, we developed a roof extension which was sympathetic to the surrounding environment. There was a need to shield the bedroom and terrace area from the main road below and this was achieved by wrapping the cladding around the three sides facing the main road with minimal openings and windows. The large bi-folding doors face south towards the city, and two roof lights provide light into the bedroom and the bathroom. 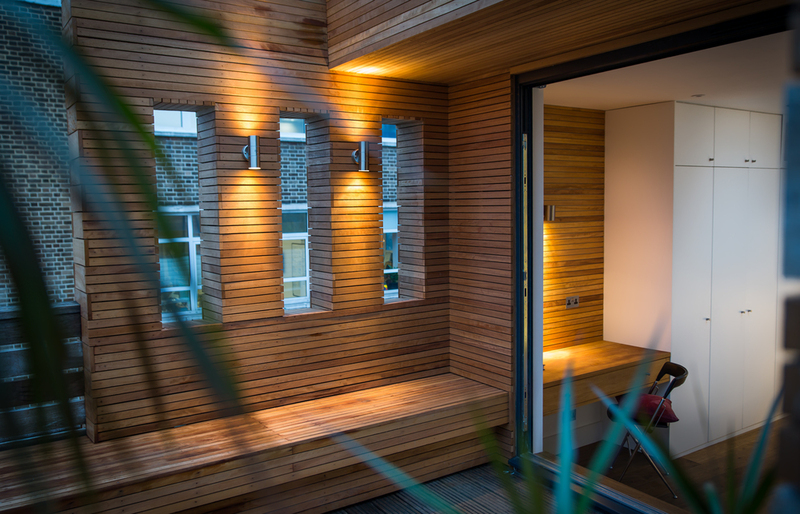 We used a Iroko timber cladding both internally and externally, alternating between a more standard and fast to construct 150mm width facing the main roads and a finer 50mm width board facing the terrace and desk space.